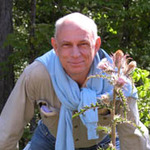 William C. McGrew is a professor of primatology in the Leverhulme Centre for Human Evolutionary Studies, Department of Biological Anthropology, University of Cambridge. He has been chasing wild chimpanzees since 1972. His most recent book is The Cultured Chimpanzee: Reflections on Cultural Primatology (Cambridge University Press, 2004).